1959. 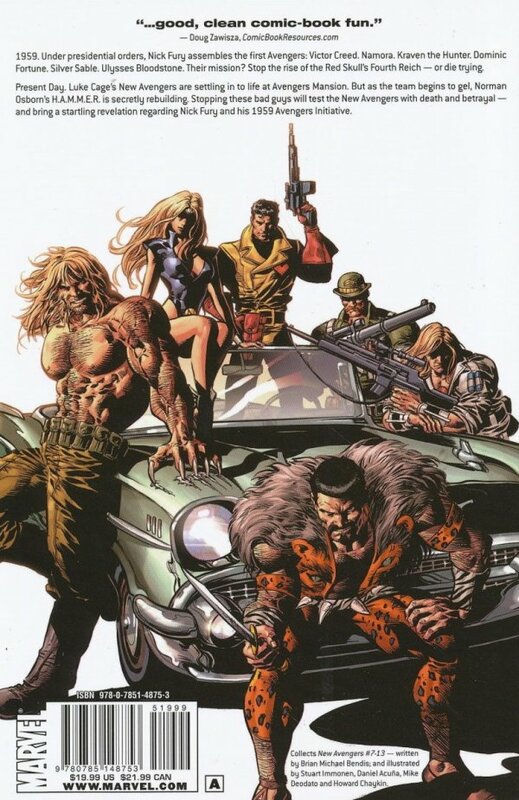 Under presidential orders, Nick Fury assembles the first Avengers: Victor Creed. Namora. Kraven the Hunter. Dominic Fortune. Silver Sable. Ulysses Bloodstone. Their mission? Stop the rise of the Red Skull's Fourth Reich - or die trying. Present Day. Luke Cage's New Avengers are settling in to life at Avengers Mansion. 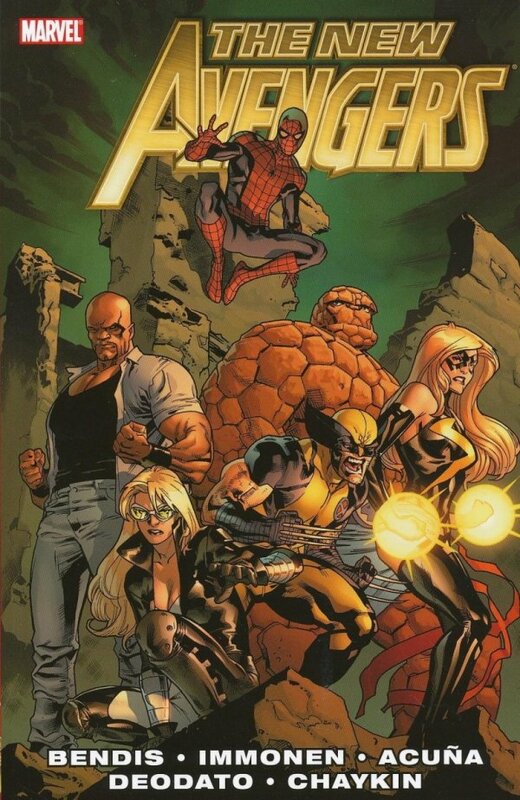 But as the team begins to gel, Norman Osborn's HAMMER is secretly rebuilding. Stopping these bad guys will test the New Avengers with death and betrayal - and bring a startling revelation regarding Nick Fury and his 1959 Avengers Initiative. Collecting NEW AVENGERS #7-13.